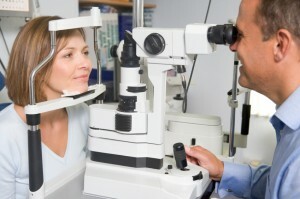 Are you looking for a vision center in the Peabody, MA area? At Parrelli Optical, prospective patients can count on courteous staff members, comprehensive examinations, and efficient solutions to a range of vision problems. Whether men and women are ultimately looking to procure glasses, sunglasses, or contact lenses, they can count on expertise every step of the way. Because the optometrists at the facility are largely independent, individuals will have much more flexibility going forward. If prescription sunglasses are needed, professionals can ensure that the right lenses are chosen. Parrelli Optical offers a number of benefits. While many individuals will be concerned about improving their vision, others may simply want to switch from glasses to contacts. Interested parties, in fact, will be able to choose from a range of different frames. In many cases, of course, bifocals will be required. Likewise, people who are having trouble seeing at night may be required by law to wear glasses when driving after dusk. Optometrists can also devise prescriptive lenses that can be worn with sunglasses. Individuals who work outside during the day will want to seek maximum protection against ultraviolet rays. If optometrists find that macular degeneration is present, surgery may be the best bet. Ophthalmologists, of course, can usually treat even the more aggressive diseases. Structural abnormalities can sometimes hint at high blood pressure, high cholesterol, or diabetes. Men and women might also be looking for prescription safety glasses. If they are welders or mechanical laborers, they will likely need to protect their eyes from stray bits of metal that can be thrown off during the manufacturing process. Other individuals might need protective gear for team sports. Residents who are ultimately searching for a reputable vision center in the Peabody, MA area will undoubtedly be pleased with Parrelli Optical.